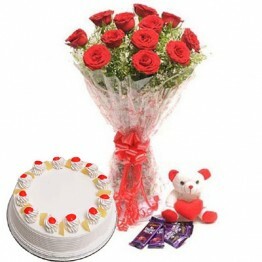 Surprise your loved one with this scrumptious Pineapple Cake for birthday, or an anniversary, this d..
Three dozen local long stem Red roses beautifully arranged with Baby's Breath and Greens in a clear ..
A Special Gift is ready to surprise your dear ones today. What are you waiting for? Gift Now!.. 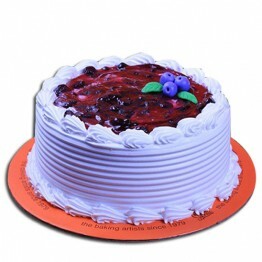 Treat you and your friends and family with Blue Berry Cake From Sacha's bakery, Make any occasion fi.. 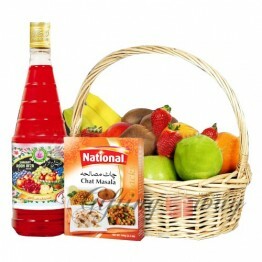 This Fruit Gift Basket is overflowing with 1 Rooh-e-Afza & 1 Chat Masala and with 8-10 Kg of Fru.. Send this beautiful combination of choori and mehndi set to Pakistan to add shades of happiness on a.. Flowers are love and romance that express your feelings when you fall short of words. This arrangeme.. Product Specifics: Unstitched, embroidered chiffon suit (3 Pcs)Indian kangan SetCakes 2lbs.2 Gl.. 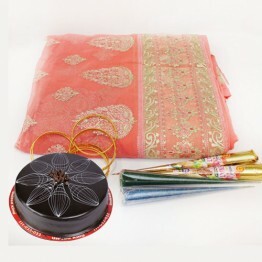 Send your good wishes to your families and friends by sending them this lovely combo comprising One.. 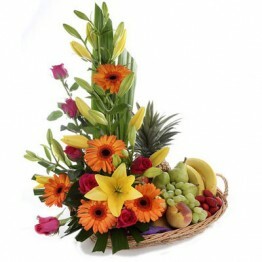 This gift hamper is perfect one to make your reciept and sure to make her smile. It includes 12 fres.. 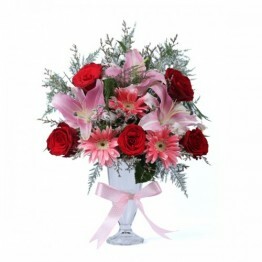 Flowers are a perfect way to celebrate a birthday, anniversary, or congratulate, Order Flowers with .. 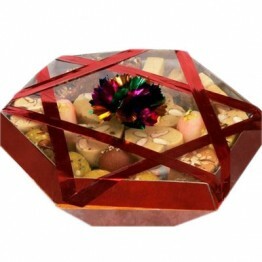 Send beauty and bounty with this lovely combination of fresh fruits and flowers including (Lilies, G..
A sweet surprise your loved one with varied fresh fruits and mouthwatering assortment of Cadbury cho..
Buy sweets online 5 Kg Mix Mithai Tokra as such Gulaab Jaman, Cham Cham, Laddu, Barfi, Qalaqand and ..
Order 1 liter packs of 6 FRUITA VITALS Nestle Mango Juice and You can also order your friend’s or re..
Red Rose bunch With Singhar Combo Wonderful Package of Choori, Hina Mehndi & Glitter Mehndi it i.. 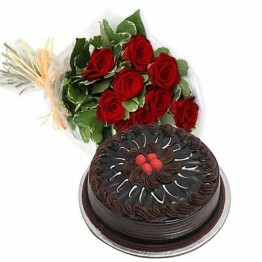 Delight your loved ones with this beautiful bouquet of 2 Dozen Red Roses and 2 lbs of delicious choc.. 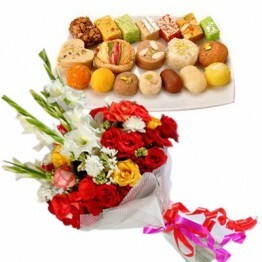 This Sweet combo consists of a bunch of 12 Red Roses and a 2kg Mix Mithai. 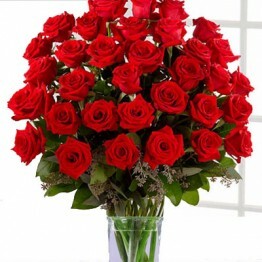 Red roses signify love an..
Find the best arrangement of Fresh lilies Flowers for birthdays gifts and special occasions such as .. 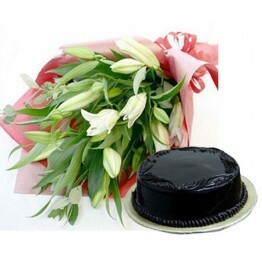 Send Wish Bouquet to PakistanThis item includes:4 Pcs Chocolates 1 Lily, 2 Yellow Chrysanthemu..
Eids are two of the most auspicious religious occasions for Muslims, One Eid comes right after Ramadhan and other Eid is followed after 2 months and it is celebrated by sacrificing animals for the sake of Allah, The Almighty. But both Eids are celebrated by tasty dishes, yummy desserts, new clothes, bangles for females and lots of joys and jubilations. Gifts are the best way to express your feelings for your loved ones, either parent, spouse, other family members, friends, and colleagues. At, giftingway.com, we are proud to present you a variety of gift items according to your needs and person whom you want to gift for either gender and all age groups. 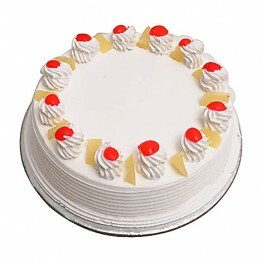 Cakes are the best idea of gifts for all occasions and also on Eid, it is great to give or receive cakes as a gift, for cakes, we have pineapple, black forest, chocolate and other flavors of cakes. 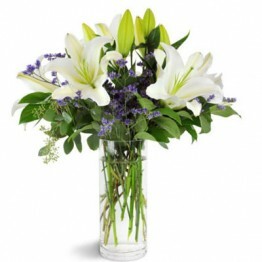 We also have bouquets of flowers like roses, lilies, carnation and also combos of mix flowers arrangement. 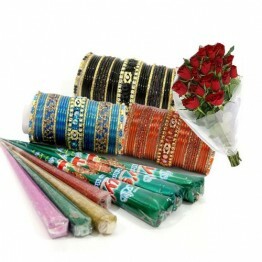 For females, we have very special combos of bangles and henna to make their Eid more colorful and joyful. 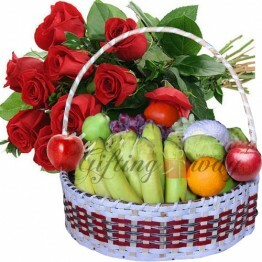 A fruit basket is also one of our specialty of giftingway.com, our fruit baskets contain fresh fruits according to the season, like mangoes, apples, bananas, grapes, strawberries, and others. When talking about Eid, how can anyone forget mithai, as it has an exclusive and very unique place in our culture, it is part of almost every joyful event being held by many citizens across the globe. Now we have also included mithai in our virtual shelves so you can send mithai to your loved ones to make their Eid even more sweet, delicious and more joyful. How can anyone think of Eid without the new dress? We, giftingway.com has also taken care of your this need and hence we have put some exquisite suits for both genders with quite affordable price ranges so that you can send the clothing of your choice to your loved ones and make their Eid much enjoyable. 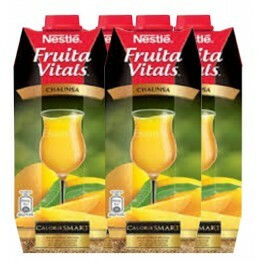 One other idea which we have introduced is by putting Nestle Juices also on our virtual shelves, this enables our valuable clients to make their loved ones’ Eid more juicy and tasty. 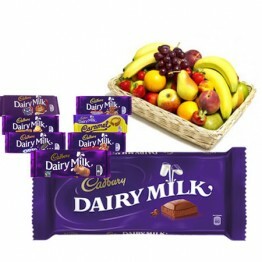 We have also put Cadbury Chocolates in our deals so that kids can also enjoy their Eid with their favorite desserts in their hands. So, please come to our online shopping portal and browse through our virtual shelves and pick the best products and avail our best delivery service and put smiles on your loved ones on every Eid. Special Eid Gifts To Pakistan, Eid Ul Adha, Eid Ul Fitr Gifts can be delivered to Lahore, Islamabad, Karachi and all major cities. You can send eid gifts to form our exclusive selection of eid gift combos.